A sequel/spin-off of sorts to Yuurei, Yuurand is a large, Metroidvania quest featuring three giant labyrinths, eleven different stories, sixty-five unique spells, over forty-five playable characters, and online-ready multiplayer! Spell locations and bosses are randomized, making no two runs alike! Be sure to download the enhanced music below. IMPORTANT: Be sure to download the enhanced music. Grab the complete soundtrack here. If you already downloaded the Yuurand soundtrack in the past before the 2.0 update, you can grab just the new songs here. Be sure to overwrite any duplicates, as some Yuurei songs have been changed to avoid flagging Youtube's copyright system. Three giant labyrinths to explore! Sixty-five unique spells, with not a single vanilla ZC item in sight! Eleven different stories, most with complete skits on the subscreen. Fifty different bosses to fight. Over forty-five playable characters, more than any other ZC quest to date. Each character has their own spell upgrades and unique signature weapon and passive ability. Randomized spells and bosses make no two playthroughs the same! Three difficulty settings, with additional optional challenges, to cater to those of all skill levels. ZC's first fully-realized multiplayer mode! Introducing Yuurand 2.0: The Living Labyrinth! This update introduces a whole lot of new content, so see the new forum thread for full details. The key new features are listed below. Please note, This update will break saves. It also requires downloading new music. - A brand new labyrinth! 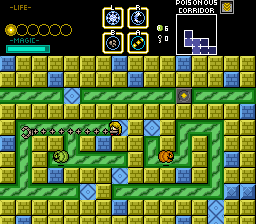 - A new set of challenge areas! - Fixed a major bug where text didn't clear in the midpoint cutscene and didn't display in the Forgotten Void cutscene for certain characters. - Fixed a major bug where the roaming boss would fail to drop a spell in Poison Swamp. I wasn't planning on pushing this update quite yet, as it includes some planned character rebalancing but not all, but again, a pretty embarrassing bug surfaced, so... Please note, This update will break saves. - A oversight where weapons would sometimes be disabled after cutscenes has been fixed. - Zephyr's Rainy West Wind is no longer buggy. It also costs half the MP it previously did. - Caelan's Flame Dash takes less MP and has no cooldown. 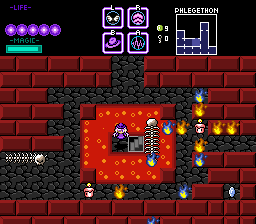 It also releases more fire, including a flame in front to make hitting fire blocks easier. - Xaya now takes 1.5x damage, rather than 2x damage. This is mainly to fix a pretty embarrassing oversight, but does have a nice quality of life improvement. - All primaries can now reveal what item is needed to break a block. Fully charged magic stream will make icons appear just as charged sound wave does. Firing wind at the wall for about 4 seconds will also make the marker appear. - Thunder and primaries will now reveal the item marker regardless of damage power, fixing an oversight where low damage characters couldn't reveal the markers. - Holm (playable) has had his attack power buffed. - Ava no longer eats FFCs for breakfast, causing bosses to fail to spawn. - Some phantom ice blocks in Masquerade have been properly removed. - As mentioned above, the global script has been overhauled to double the maximum framerate. 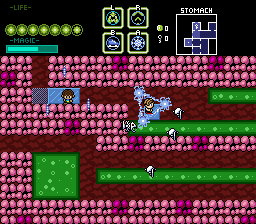 - Laser's damage has been buffed from 2 to 3, though it will do less damage against bosses. - Ice no longer deals half damage to bosses. - Sasic now gets Strong Metal at 50 coins, increasing his Flail's damage from 3 to 4. - Autimecia (boss fight) has slightly more HP. - Quinn (boss fight) should no longer cause weird errors. - Bugs involving the combination of Ice Skate with Float and ice floors have been fixed. 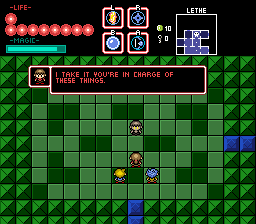 - Fixed some bugs involving the options menu. - Added a bio for one of the secret characters. - The final boss, on Total Eclipse mode, now summons buffed leeches in phase 1, in place of the jellyfish which no longer have leech behavior. This update fixed some bugs introduced in the 7/24 update, the details of which are below. This latest update fixed issues with bosses failing to spawn, Seine's wind bomb behavior, and a handful of other issues. No new content in this update yet, but quite a few bugfixes and quality of life things. The next update will (assuming no new bugs emerge) be more substantial. This update will break saves, so be sure to finish any in-progress runs before updating. - Leech Jellyfish have had their behavior reworked. Large jellies move more slowly and grab, rather than leech. Medium and small no longer leech, instead simply moving faster while having more HP and splitting into more smalls. - Splitting Kamens now stop moving when their masks separate to reveal the core. - Submerging Bone Worms and Skull Fish have had their HP significantly reduced. - Bonus areas have minimap markers for keys now. Cases of the minimap showing nonexistent paths have also been fixed. - On that note, several minimap bugs, such as items not being displayed for some rooms or duplicate boss markers appearing, have been fixed. - A critical bug that could result in enhance being removed from your inventory has been fixed. 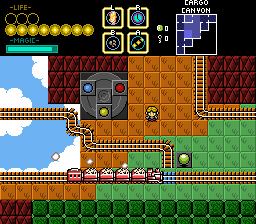 - Several elements that weren't haltable before, such as some traps, should now behave correctly. - Horizon and Autimecia no longer deal absurd damage with certain attacks. - Several misc smaller bugfixes, too numerous to list, have been fixed. While a few more pesky ones still remain, this should resolve most of the bugs that have been reported since release. Please see the FAQ/help thread here. A comprehensive list of people who contributed to Yuurand can be found in the in-game credits. If you deserve a spot on that list but aren't included, please contact us right away so we can give you the recognition you deserve. Additionally, we want to give special thanks to two groups of people. Moosh and Evan were a huge help throughout this project, contributing bosses, scripts, testing, and ideas. The impact they've left can't be overstated. Further, we want to thank all the fans of Yuurei, who to a great extent inspired this project. Orithan and Dimentio especially contributed more than they're probably aware. Scythetastic, through his streams, has helped us find and fix a great many bugs, and his continued interest has also helped make the 2.0 update happen. Awesome quest, which provides lots of fun and has great replayability, due to multiple stories and playable characters and being a randomizer. To those who are new to this quest and feeling intimidated by the big amount of content and stuff, don't be. 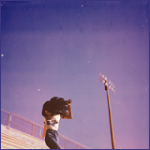 You can just jump right in and play, and you'll figure out things naturally. For the best experience, when starting a game be sure to select a character that has a story mode. If you don't pick one manually, don't forget to press Unmask! Now lemme talk about Yuurand in a bit more detail. Russ and Aevin obviously put in a lot of care and effort into this project. It brings together Hitodama and Yuurei, together with it's own share of content. 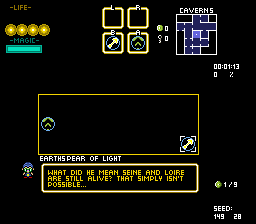 Even if it's a randomizer, I would say this is the ultimate entry in this quest's series, in every way. The playable characters are very unique and fun, with many cool weapons and abilities. Probably the main factor of replayability. The boss-fights are pretty awesome and fit all their characters. Each of the stories are an interesting experience (even though many of them make you feel left hanging, considering the labyrinth). The areas are plentiful, so this quest offers a lot of variety. You guys did a great job with all of this. The "Yuurand" labyrinth takes the original map from Yuurei (which this quest includes too) and makes it's own unique map out of it. It's worth exploring both of them. The "Living" labyrinth has a completely different feel, with it's outdoor theme and unique areas. I like how fresh this feels. Lots of fun! A really great addition to Yuurand. Now then, I might have quite a few negative things to list, but that doesn't mean much. No quest is perfect. - Beware, this is spoilery. The ending is hidden behind hard to find collectibles in bonus areas, which you have to find every single one of. 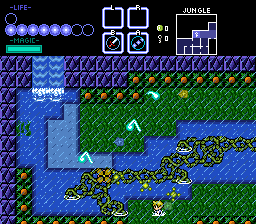 On top of that, the bonus areas are not hidden cleverly. The originally intended hint to finding them is non-existant. So the actual way players will find them is through experimentation. It feels bad because it doesn't make sense (unless you know the originally intended hint). - The ending is further delayed by a final area that's the same in every playthrough. Hurts the replayability. Overall I just think the ending takes too long to get to for what it is. It would have been better if it were at the end of the labyrinth, for most characters. 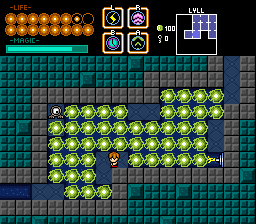 - Some areas here and there are a bit too spammy in the amount of enemies and projctiles. This is talking about normal difficulty (and higher i guess). The final main area of the Yuurand map especially feels too unforgiving. - If you play a whole lot of this quest or this quest's series, some areas and gimmicks might start feeling repetitive, taking some fun out of exploration. It makes sense though and all the areas by themselves are still fun. - And then I've got a couple complaints about minor polish, which I can't all remember off the top of my head. But they're in the veins of: "You can't refresh active buffs", "The elemental system is too unclear" or "Poison's visual effect doesn't involve poison". But yeah, fantastic work Russ, Aevin and everyone else who worked hard on this. Finally got around to finishing this earlier today and man I had a blast, this is a fantastic expansion of Yuurei. From start to finish, it was quite a journey and the randomised bosses and spells really add a whole lot to the quest and changes the quest path completely. The environments and settings are as great as I remember and there's a ton of atmosphere in each area, which makes them pretty unique. All the different spells are really fun to play around with, though I love Chaos and Thunder... I pretty much abused Thunder almost everywhere lol. The wide variety of characters will definitely make for a replayable experience (though I've only done one run so far), so I'm looking forward to seeing what other stories are on offer when I do a few more. The quest was definitely challenging though, I probably made things a lot harder than it should've been (171 deaths in the end... yeah lol), but the bosses were fair, pretty fun and exciting to fight. As a very minor nitpick however, I do wish that one area where you shouldn't mess with in the void was made a little clearer as to what that actually affects. It took a lot of struggling at the final boss to realise it actually affected the difficulty of it after asking some people what the purpose of the room was, so maybe just a little text message or something before starting the final boss to let people know that the final boss grew much stronger or something would be helpful IMO since it ended up making things a lot harder than I thought (though if there was something like that already and I misread it then my bad). For whatever reason, I thought it would've activated another area or something like that. But again, incredibly minor and that's about the only complaint I have really. 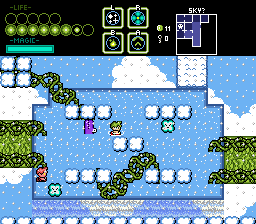 One last thing, this room has an oversight in which there's a spark of electricity one tile below that eyeball statue on the top-left there, even though there isn't a water tile there, not sure if that's intentional. But overall, this was incredibly fun and since I did a Yuurand map run of this, I'll do a Yuurei one whenever I can. 5/5 from me, good job guys! It's awful! I had fun, it made me replay it several times pre-release looking for bugs and actually made me loose control of my sleep cycle! Online-ready multiplayer? Yuurei sequel? I'm shooker than Mexico after the earthquakes.